Jonathan Ford joins YMCA of Northwest Louisiana staff as Athletics Director. Born and raised in Shreveport, LA, Jonathan holds a Bachelors degree from LSUS in Management and Administration and a Masters in Sports Administration from Belhaven University. 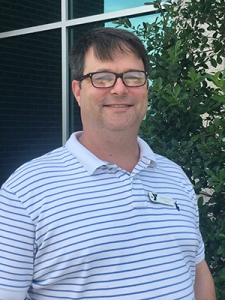 Jonathan’s YMCA journey began at the Moore County YMCA in Dumas, TX where he served as Programs Director charged with Sports and the After School Program. Jonathan’s wife is an Art teacher and they have two teenage children. Raymond Lee, Executive Director of the BHP Billiton YMCA, shares, “I believe Jonathan is a great addition to our team. He not only has the knowledge, work ethic, and experience, but he demonstrates the core values of the YMCA. I have no doubt that he can take our sports and programming to the next level.